This drama, both amusing and touching, will be at The Space from 29 April to 1 May 2010. 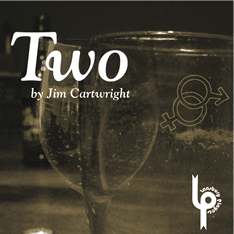 Set in a traditional English pub, ‘Two’ focuses on one evening in the life of its regulars, showing that what you see on the outside doesn't always match what's on the inside. From the Landlord and Landlady to the Other Woman, ‘Two’ suggests that life is very funny, completely diverse and never without its odd shock or two. Two will be staged at the Space, from 29 April to 1 May (Thurs to Sat). The show starts at 8.00pm. Ticket price for all performances is £11 (£9 concessions).